Refurbished and modernised 7 storey office property in Dublin's prime office district. 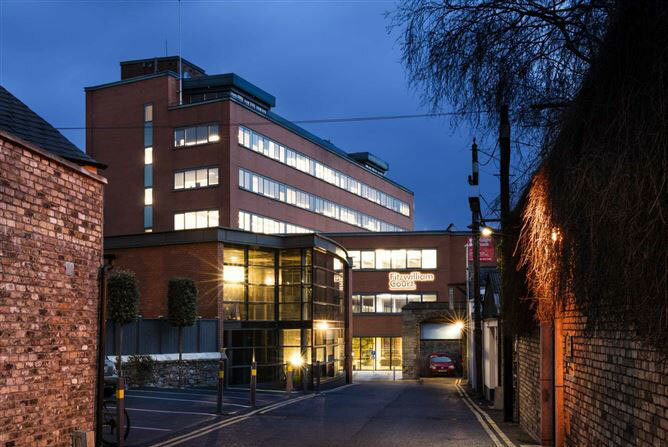 This seven storey office property is centrally located within Dublin`s prime office district and is situated just off Lower Leeson Street, in close proximity to St Stephens Green and Fitzwilliam Square. The floor area is approx 3,771 sq m (40,590 sq ft). The property has been recently refurbished and modernised to the highest standard. The property also benefits from 30+ car parking spaces and ample bike storage.